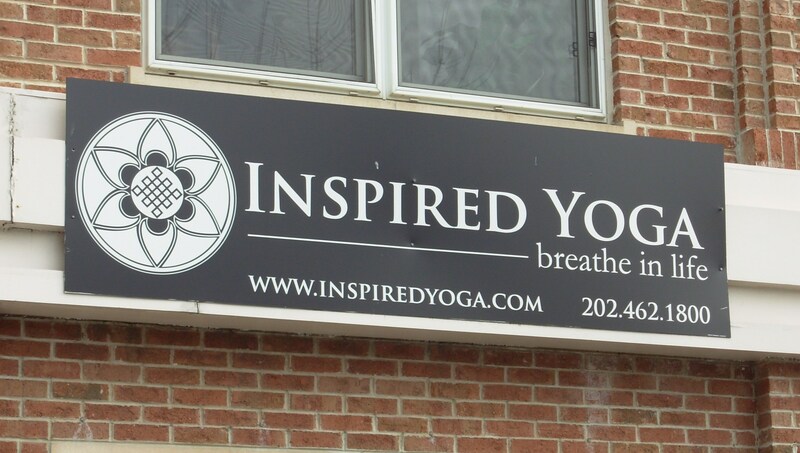 Some good news on the U Street yoga front: first, and most exciting to me, Kyra from Inspired Yoga is in DC this weekend. She will be teaching two classes on Sunday: one from 11-1 pm at the Lululemon Georgetown store, and one from 7-8:30 pm at the Josephine Butler Parks Center (15th and Euclid – where they held classes before they left DC). The Lululemon class is $20 pre-register, $25 at the door. The Josephine Butler class is $20, or $15 if you went to the Lululemon class too. Email Kyra at info@inspiredyoga.com for more details – or go onto PayPal and enter info@inspiredyoga.com to sign up for classes. 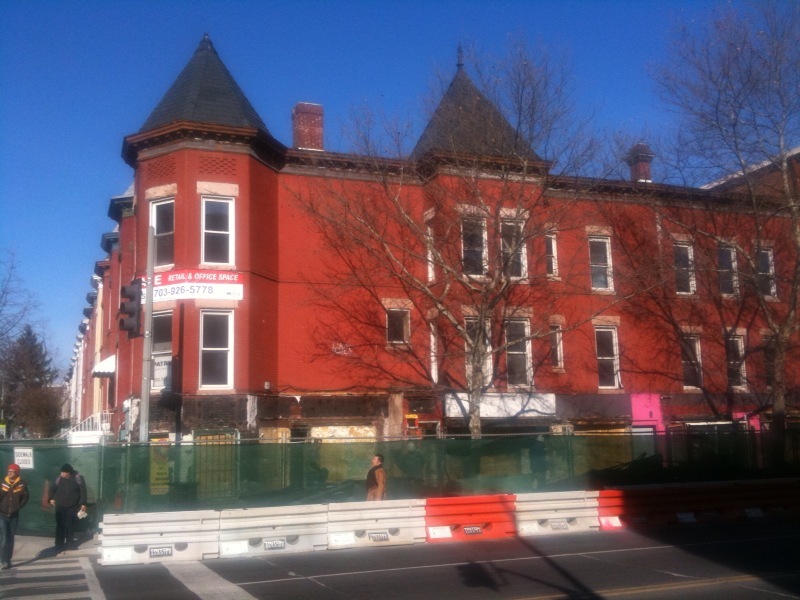 In other news, Inspired’s old space on U Street is finally leased out. Just took a year and three months – Buddha B Yoga Center opened in the spot last weekend. Looks like they have a pretty varied schedule. I met with Kim Weeks, owner of Boundless Yoga, this week to talk about the building at 13/U to which her studio will be moving. First, Boundless Yoga will be opening in September – Kim’s lease at her current space at 15/U ends at August 31st so she’s pretty confident they’ll be open in September. The studio will be two floors, 2,500 square feet, have views of the Washington Monument, a rope wall, and offering many more classes. I will hopefully have some more details for you about the interior some time next week. Now, the news I have about the ground floor leaves me a bit disappointed. Kim confirmed that Georgetown Valet will be the only ground floor retail (sigh). I was hoping something else might come to the space, perhaps something the neighborhood didn’t have a ton of (and that there wasn’t the same store 2 blocks away…) but oh well. No word on when Georgetown Valet will open but I assume it’s around September too. PoP reported this yesterday, after I noticed serious construction on the facade of the building a few weeks ago. Boundless is currently at 15th and U in a basement space, they will be moving to the 2nd floor and will have 2 studios. I am currently taking classes at Tranquil Space, but they really are a bit crowded for me. Maybe I’ll try Boundless’s new space when it opens over the summer. No word on what is coming to the first floor, but just for the record, my vote is a bookstore. This new location will give us the room we need to accommodate our ever growing IY community. Classes will be held in the large ballroom on the second floor which has gorgeous views and overlooks the park. You will love the parquet floors, chandelier and fireplace. Although or schedule will change slightly, the most popular classes will be held as scheduled & we will also be adding some new lower priced classes. We look forward to having this opportunity to offer you the same dynamic & inspired classes in a much larger and historic space. If you’ve been to Inspired Yoga, or you haven’t, let’s support the studio in this time of transition. If you’ve ever been to a class, you know the studio is an open, welcoming environment and a strong community. I will be going to more classes than ever in support of Kyra and Inspired Yoga. After a particularly sweaty yoga class Tuesday, Kyra let us know that there was a strong possibility Inspired Yoga might be moving from it’s current location at 12th and U to the Josephine Butler Parks Center at 15th and Chapin, across the street from Malcolm X Park. 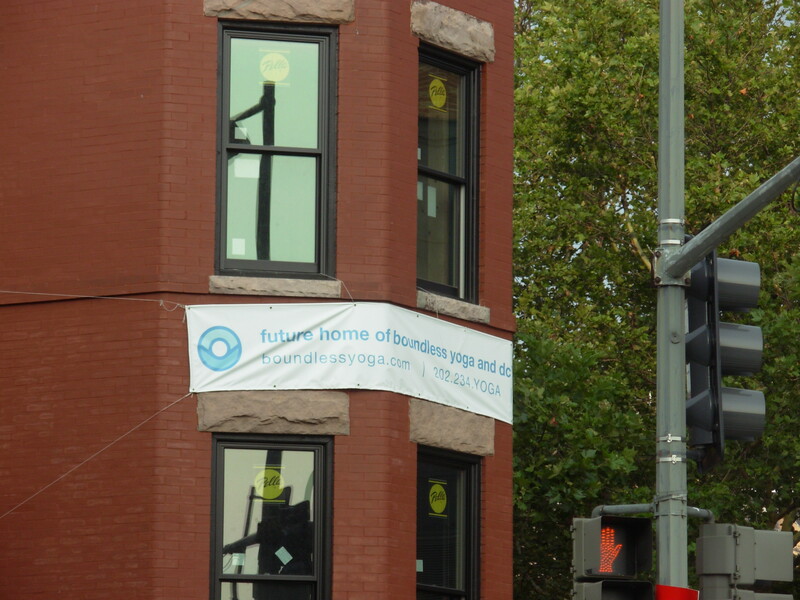 This change could happen on September 1st, as their lease at 12th and U will be expiring August 31st. It seemed that they’ve been having some trouble with their landlord, and while the move could be scary (will people make the 10 minute walk over to the new place? ), I see a lot of potential. The new space would be significantly larger than their current one, which, while lovely, could easily get packed. The class sizes have just continued to grow in the past few months, and having more room will be good. I will post more information once Kyra and Inspired Yoga get the official word. To celebrate opening a new yoga studio, Past Tense, in Mt. Pleasant on Mt. Pleasant Road and Park Road, the studio is having a free yoga class, Sunday at 7 pm. The class will be held in the park at 17th and Lamont. I’m all about free yoga outside, so if you’re in the area check it out. The studio is also having a great deal on monthy yoga plasses – $79 of unlimited monthly yoga. That is a great deal! I currently am paying $100/month at my studio, which is a good deal, but $79/month is a great deal. The first day of classes is Monday, so check it out. Best of luck to the owners in their new venture!